I didn’t get any worthwhile questions this month so I’m taking the time to talk about Venmo on BW. New thing alert! I switched from Ko-Fi to Venmo! This means that instead of seeing “Support Black Witch with Digital Coffee”, it is now “Support Black Witch with Venmo”. The change happened because a) ease of use b) more people have Venmo c) much more versatile. This means everything Ko-Fi related is gonna change in the sidebars and Venmo is going to be flouted a lot more. 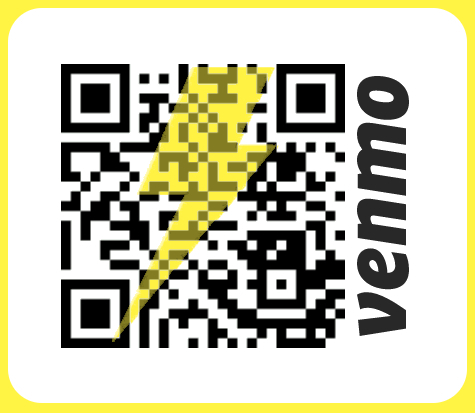 Venmo is a much easier way for readers to donate fiscal support, for me to do transactions if I ever decide to open up for doing paid divination, natal charts, custom 3D printing or bookbinding for others, whatever. Life is made simpler. This also means that I will be changing the sidebar to account for this. 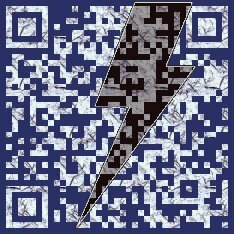 Venmo uses QR codes so this makes life easy for me since I’ve already had QR codes on my blog for years. This will now be in the sidebar and wherever appropriate. I don’t cast spells for others. Ever. It’s pretty obvious for me that they’re not dedicated practitioners of metaphysics, Paganism, witchcraft or anything remotely occult. Just whiny morons that seriously need to stop passing the legwork of their life lessons to another person in hope of avoiding any of them. Or fetish-y weirdos that would benefit more from attending like-minded groups instead of bothering me. Either way, there’s a reason I restate this callous remark…because frankly, I’ve never been a fan of people like these. Life is hard. This is why therapists exist. This is how liquor and drug companies as well as drug dealers sucker people out of their money and lives in exchange for escapism and self-feigned avoidance from problems that are always going to be waiting for them as soon as they sober up. Always. However, people who don’t actually practice any part of witchcraft or occultism should stick with normal, mundane methods to solving problems like everyone else. Looking for anyone to play genie is pointless. Especially because these types of people never go away if you actually help them via magick. They pretty much start to dump allllll of their life problems on your lap like you are their personal druid. All of their problems. I’ve seen it happen a good number of times in my life from others. These beggars go one of two ways: 1) They keep coming back again and again because they don’t learn (especially if the spell casting is fairly inexpensive or free) 2) They start to complain about the spell caster because life isn’t turning out exactly the way the beggar wants to, frame for frame (especially if the spell casting is fairly expensive or the caster already said no but went with it anyway because the beggar wouldn’t go away (the “not going away” part is super common)). Either way, your life gets caught up with theirs and they want to be no.1 in your life – always fixing the situation, always monitoring the situation, basically being their lookout and shield. There’s also doozies where people go to other witches and psychics/intutives because they got scammed by some fake witch online as if there is a Witches & Wizards Better Business Bureau. (The link is nifty, read it!) Even I got one, someone complaining about being schemed by another faceless “witch” online. I think I simply deleted it. This, by the way, opens this person up to being scammed some more because there are a lot of really not-nice people floating about on the internet willing to pretend to be anything as long as it parts you from your money faster. Then again, beggar types are very much not too bright. Folks have honestly gotten upset I don’t do paid spellwork and then accused me of attempting to scam them because the fact I’m refusing money is a telltale sign that I am very much a nefarious scammer that pretends to be a witch…hence why I refuse possibly paid requests? These folks don’t make any sense. Because they don’t think. I saw how annoying it was for others, regardless of the pay (if there was any at all) that, frankly, it seemed better for me to just not engage with any of that at all. I do spellwork for me and me alone, because that’s how my practice is. Never for others and especially never for strangers, particularly demanding and irritating ones who act as if I should drop everything I do to help them. Getting continual requests are very irritating for me. This is why I’m always frank and quite cutting when I get them because of how constant they are. It would be nice if more research would be done before engaging with asking me questions. I seem to be running into more people who have a tendency in confusing regular life for the occult or as an act of witchcraft. It’s should come as a surprise to literally no one that life is stressful, tricky and irritating. It is complicated, makes very little sense and all around baffling. When you have things like war, the drastic and more overt resurgence of White Supremacy as well as the general terribleness that people seem to be, it can certainly feel easier to say something nefarious is afoot and it is through magick. “Bad/Negative energy”, accusing someone putting a fix on them or some other flexed about excuse that pretty much conveniently avoids the concept that some people are awful people, no magick needed. The more recent claims I have heard is witchcraft. Like, “Oh, I’ve studied witchcraft. This is why [person] is being so difficult, they’re doing witchcraft.” Basically, it boils down to no matter what, it is witchcraft somehow. Their terrible attitude towards you? Witchcraft. The fact that you seem to be in their cross hairs for every little thing? Witchcraft. It’s not general malice, or prejudice, it’s supernatural. This is a Pagan site so I’m not going to sit here and say that magick isn’t real, jinxes don’t happen and folks don’t engage in witchcraft. However, the average person is not engaged in the occult, particularly not to the point of actively putting curses on others. Maybe cursing at others but not cursing on others. When being told things like this and especially by those who never have really worked with anything in occultic studies, it honestly irritates me because it feels like it is hitting a straw poppet instead of looking at the matter at hand. By focusing on saying “oh, it’s magick/witchcraft/the occult”, it almost works as a some protective shield from the actual reality of the situation. It starts to feel that it is a battle of energies and just a bigger Goliath than expected so if things don’t work out, don’t feel bad because it’s almost like battling an evil greater than life itself. If one faced their situation with a realistic and honest, “This person doesn’t like me and their actions are starting to drastically effect my career/life/relationship,” that can leave a whittling feeling because it’s going to be a battle of wits and a taxing one at that. It also expresses itself by claiming everything unsavory is “negative energy”. Such as “they’re trying to pass their negative energy onto you”, “this person constantly infects the air with their negative energy”, “I think you’re giving off negative energy when you talk about why gentrification is a bad thing” and other choice quotes. While energy is transferable, it really isn’t this. Sometimes, describing things as giving “negative energy” are just things that just bothering the person who is claiming there is “negative energy” and it’s an easy way to put the issue to bed without dealing with it. It isn’t a case of some weird version of feng shui, it appears to be more of a desire to avoid a problem because it is hard to deal with. Usually, it is said in situations that the speaker doesn’t want to engage in simply because it is too arduous, generally for them. And the speaker usually, again, does not practice any metaphysics, it’s just a orientalist borrowed phrase. I use the term “orientalist” because it is indeed borrowed from various energy work, spiritual and meditation practices from several different parts of Asia but watered way down into hyper-simplistic ideas such as the binary of “good vibes/bad vibes – positive energy/negative energy” that is easy for Westerns to understand, but only with a bunch of Yellow–scare prejudice slathered on. Hence why it only really gets used when the speaker gets very uncomfortable about a situation. It would simply be better to say, “I don’t want to talk about [this situation] anymore” or “I really don’t like you because [reasons]” instead of dodging because of some mysterious force that seems to simply overpower a situation…especially when it goes awry. Granted, these sayings get used in the positive, particularly to affirm appeal – “This place has good vibes, I like it” (actually, just “vibes/energy” gets used in the positive but not references to magick or witchcraft) – but when used in the positive, it’s not served as a justification to avoid a bad situation or explain a wayward person’s bad behavior. Not only is it foolish-sounding, it’s also incredibly evasive of actual problem solving. Both excuses – because they are indeed excuses, not genuine practices of magick – seem to be more so diversions than actual examinations of the problem at hand. And from people who don’t practice, just did cursory reading and not even from decent material. Just new-agey, cobbled up nonsense used to deflect situations and unsavory topics.